Nov - 26 | By: cvre_admin | No comments. A Yard to Play In – The size of the yard is probably one of the first things most people consider when buying a home for a family with kids, and for good reason. A tiny yard, patio or balcony simply won’t cut it. Adequate Bedrooms – Even if you only have one child, there is always a possibility that could change, and if you already have more than one child, they will need room to grow. Sharing a bedroom may work for a while, but it gets tricky once they are older and need more personal space. Space for a Playroom – It would be great to have a playroom, even if it’s only a tiny extra room. And once they outgrow the playroom, it can be used for an office, yoga room, storage space or whatever else you’d like! Family Areas – Whether you desire a dining room for family meals, a sitting room for special events or an outdoor cooking area for summer barbeques, you may want to consider this extra space when shopping for a new home, if your budget allows. Good Schools Nearby – One surefire sign of a kid-friendly home has nothing to do with the home itself. You must consider the quality of the nearest school, and the convenience of getting there. 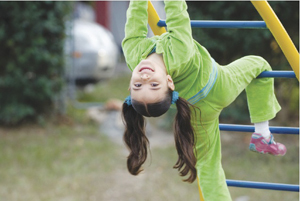 Kids in the Neighborhood – A kid-friendly home will be situated in a neighborhood where a lot of other kids live. If the area is predominantly filled with retirees or young professionals, it will probably not feel like a friendly place to your kids. Parks and Playgrounds – While a backyard is certainly a sign of a kid-friendly home, it’s also important to have places nearby where your kids can roam free. Parks and playgrounds also create a sense of community with other families. Community Center/Pool – In addition to parks and playgrounds, finding Otay Ranch real estate near a public pool or community center (such as a YMCA) would also be a great bonus for your family. I had the pleasure of working with Matt Gover when purchasing my condo. This required an in depth knowledge of market values and the complex process of funding. Matt took the time to focus on the right questions which helped my wife and I establish what we were looking for. We are very detailed, and at the time there wasn't much inventory on the market that met our criteria. However when the property that we bought first went to market,Matt was "Johnny on the Spot". He contacted us immediately and got us inside the condo that very same day. This was critical as it was a bank owned property and the seller received several subsequent offers from other potential buyers. Matt was able to get our offer accepted in the face of competition, and still managed to negotiate a great price.